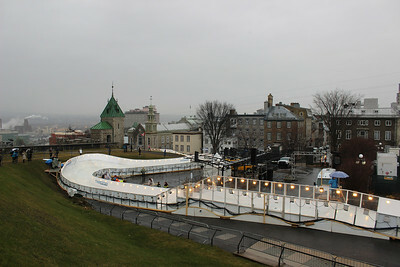 Our trip to Quebec City in November 2015. 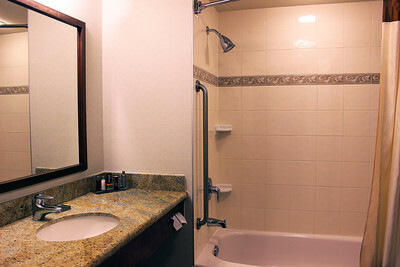 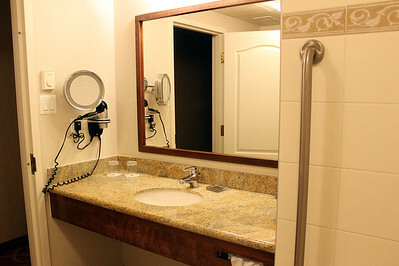 The bathroom at the Hotel Marriott Quebec Centre-Ville, Quebec City. 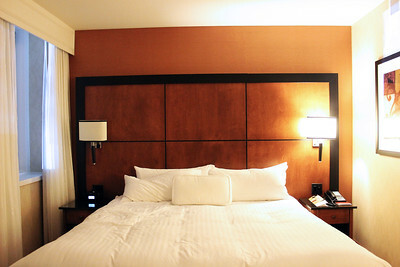 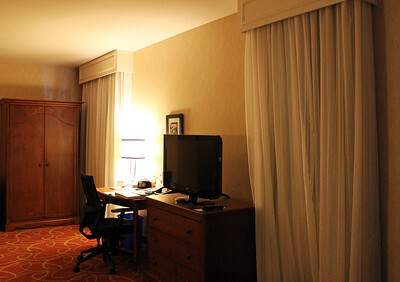 Our room at the Hotel Marriott Quebec Centre-Ville, Quebec City. 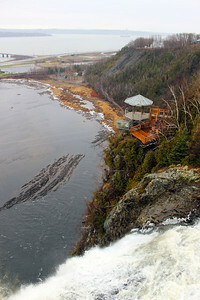 Our view from our room at the Hotel Marriott Quebec Centre-Ville. 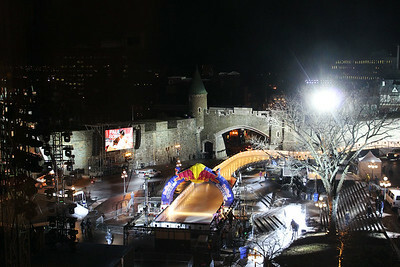 The Red Bull Crashed Ice race's finish line right outside our window. 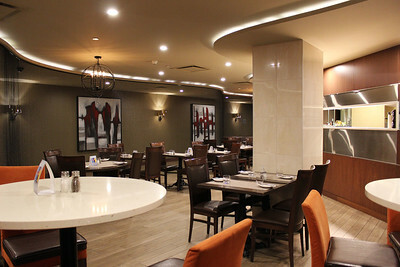 The lobby and dining area at the Hotel Marriott Quebec Centre-Ville, Quebec City. 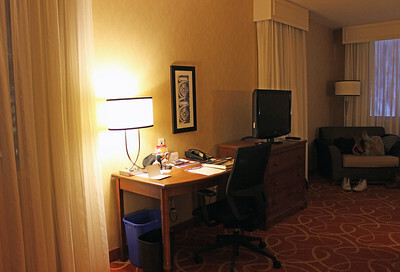 The lobby of the Hotel Marriott Quebec Centre-Ville, Quebec City. 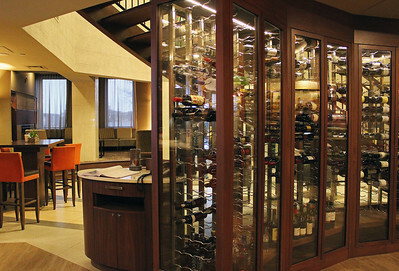 Lots of wine. 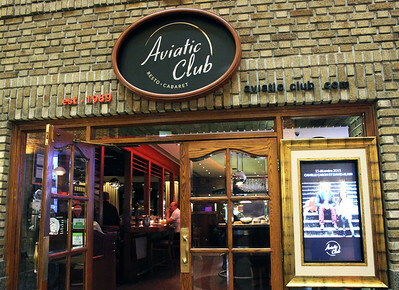 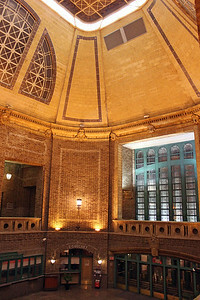 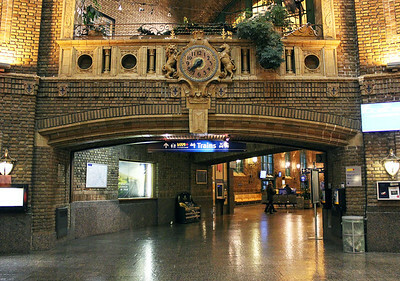 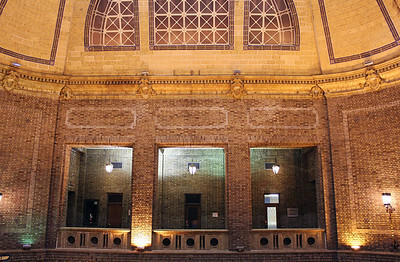 We went for dinner at the Aviatic Club inside a historic train station. 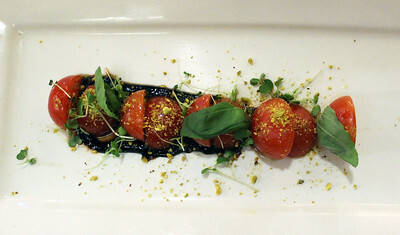 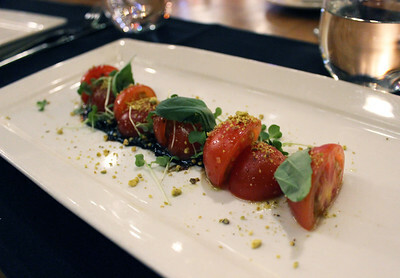 We enjoyed an appetizer of cherry tomatoes with balsamic glaze at the Aviatic Club. We enjoyed an appetizer at the Aviatic Club - cherry tomatoes with balsamic glaze. 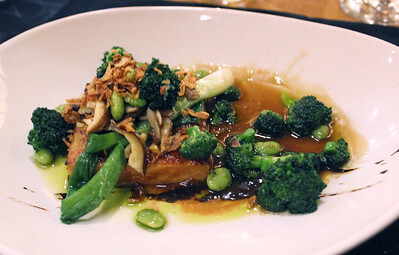 Our meal at the Aviatic Club was a teriyaki tofu steak with broccoli, edamame, and shiitake mushrooms in a light sauce. 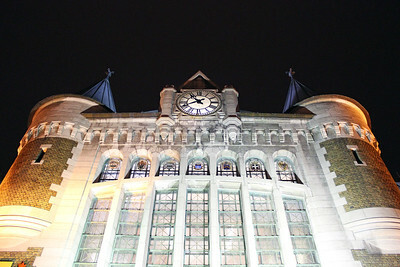 The historic train station in Quebec City. 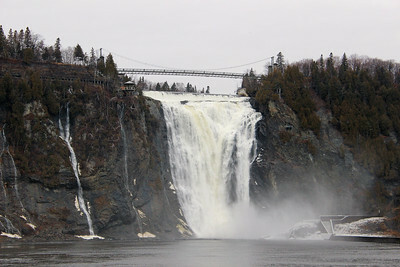 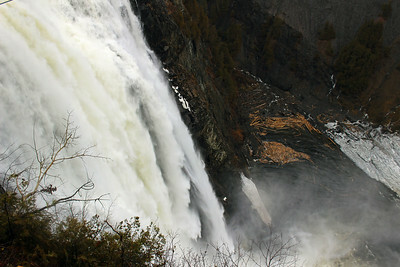 Montmorency Falls in Quebec City. 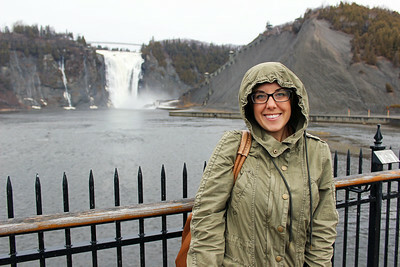 Lauren at Montmorency Falls in Quebec City. 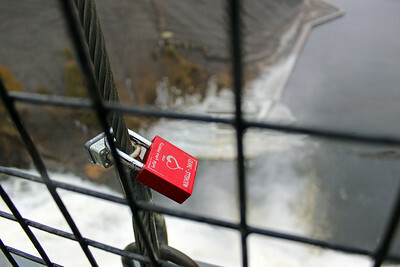 Love locks. 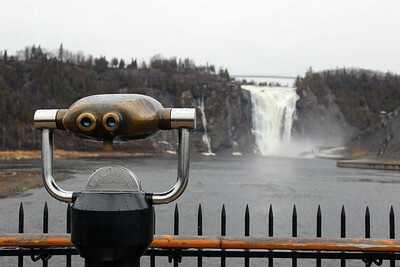 Montmorency Falls in Quebec City. 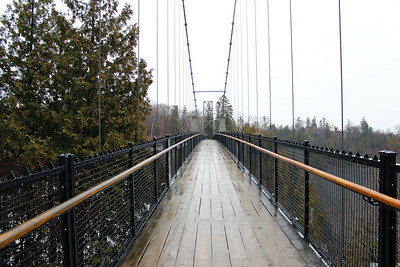 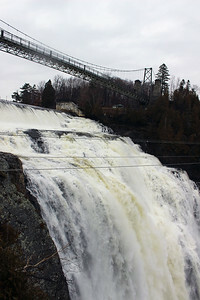 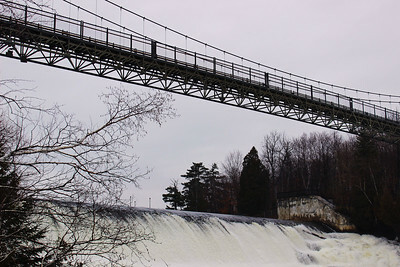 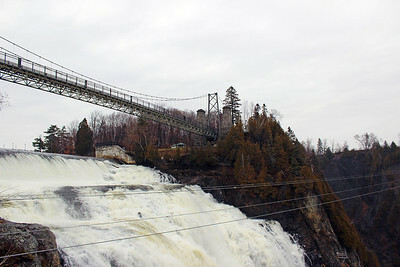 Suspension bridge over Montmorency Falls in Quebec City. 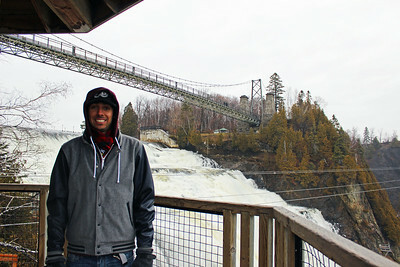 Justin at Montmorency Falls in Quebec City. 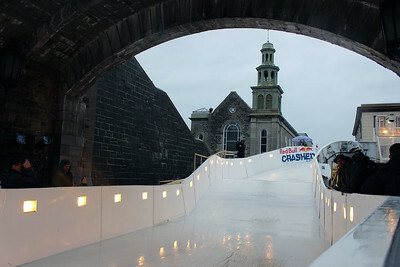 Morning preparations for the Red Bull Crashed Ice event.